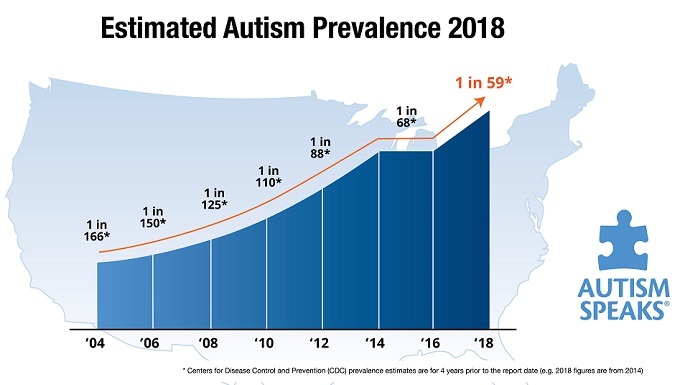 I routinely check autism websites and chat groups to gauge the landscape and better understand the community of families seeking relief from this devastating epidemic (and if you don’t think that autism is an epidemic, you have been living on Mars). On one listserv, a parent recently wrote, “I’m looking to start chelation on my daughter. Can anyone recommend a good DAN dr?” This request and the several responses that followed have led me to want to further explain my position about this popular autism treatment. The first issue that I wish to comment upon is the precarious position that families are facing when THEY are the ones asking for specific treatment regimes, rather than seeking knowledgeable physicians who can offer various options their children. This is entirely the fault of the medical community who have been so slow to recognize and respond to the condition. When the only explanation for the child’s condition is that “It’s genetic” and the only treatment is “Find some good therapists,” desperate caregivers are sure to explore other options. What parent of a child who has leukemia, for example, seeks out doctors for radiation treatment, even though the experts may counsel that chemotherapy is preferable? Sure, a sufferer of prostate cancer may choose microsurgery over radioactive seeds. But that is because there is an abundance of choices in a well-known condition, with documented evidence of outcomes in the various treatment alternatives. The patient in that case may wish to choose preservation of function over decreased risk of recurrence. Given so few choices for ASD, and so much information appearing on Internet websites, chelation will surely seem to be a reasonable treatment. The fact that the conventional scientific community is either ignorant or dismissive about removal of poisons only serves to steer the concerned family toward a different medical option. We live in a toxic world. There are 85,000+ substances in the air, food and water that were not present (or only present in small amounts) in previous centuries. Unnatural material gets into fetuses as they develop, and the fragile infants and children have become the ‘canaries in the coal mine‘. On one hand is the growing number of children with ASD and ADHD and on the other hand is our poisoned environment – and medical professionals don’t see the relationship? Exposure to pollution and increased risk are reported over and over. There shouldn’t be an argument about this any longer. Which poisons, various combinations, at what levels, and the timing of the exposure(s) upon which susceptible individuals should be the subjects of intense study and treatment options. There is more than one way to get rid of heavy metals. Chemicals are how we got here, so perhaps using chemicals such as DMPS, DMSA, or EDTA may not be the best method of detoxification. The body has a better way. It’s called glutathione, which is a natural protein that detoxifies – and not only metals, but all of the products that enter our body and cause tissue damage or prevent recovery. I have been using an oral glutathione preparation for years that is both safe and effective. There are various discussions about the ineffectiveness of the oral form, but The Child Development Center has seen over 1,000 children improve both signs and symptoms of their autism. Likewise, there is debate about increased yeast growth with such a preparation. However, antibiotic overuse is one of the most suspicious roads to the present epidemic, and anti-fungal treatment is often a successful method to treat that unnatural imbalance of gut flora. The bottom line is not whether or not I am a fan of chemical chelation. What is most important is whether there are safer, less expensive, less invasive and more effective means to arrive at the same goal of detoxification to decrease the disorders and maladaptive behaviors that we call autism. This entry was posted on Saturday, July 6th, 2013 at 4:06 pm	and is filed under >ALL<, AD/HD, Alternative and Complementary Medicine for ASD, Autism Therapies, Chelation, Patient experiences, Reversing autism, Vaccines. You can follow any responses to this entry through the RSS 2.0 feed. You can leave a response, or trackback from your own site.